on the first wash and dry, my dryer ate the fake leather buckle! 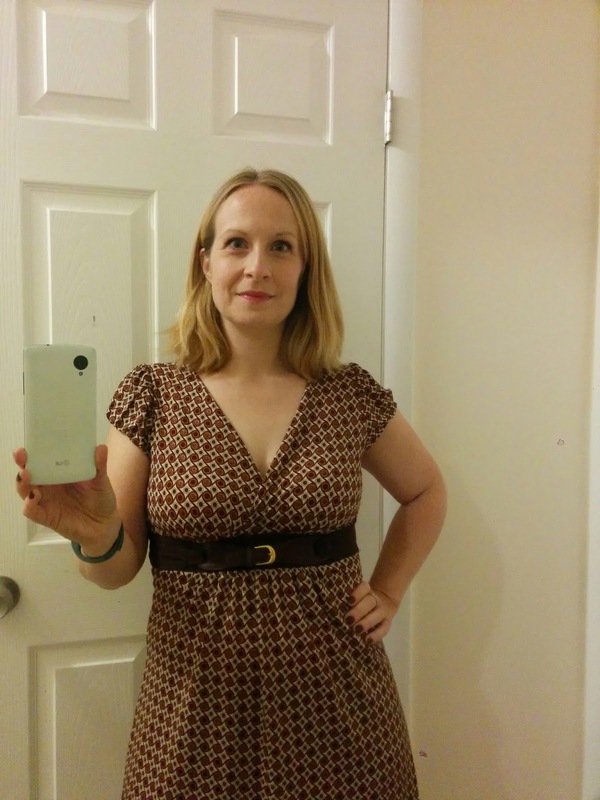 Everything else about the dress was great, so I set about to replace the buckle. I cut the fake leather one off and used it as a template to cut new shapes out of actual brown leather. I cut two layers for each side of the buckle. Using a leather needle and some heavy duty thread on my sewing machine, I sewed the top layer to the bottom layer for each side of the buckle. I stopped just short of sewing all the way around, though. 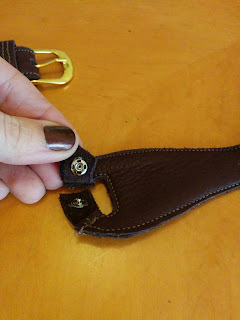 I cut the leather of each layer of the buckle near the hole where it attaches to the fabric. 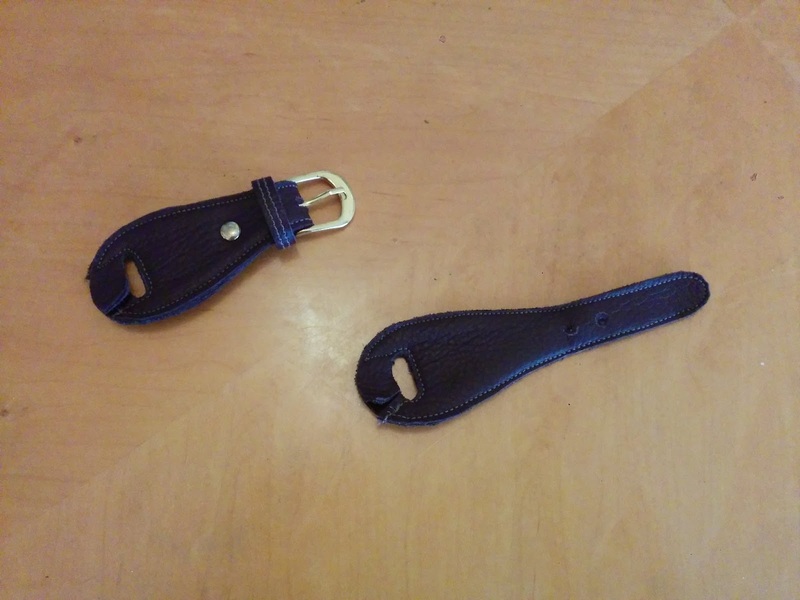 I staggered the cuts, so that a small flap of leather overlapped on the 2 layers. Then I glued a snap on those flaps, like so. 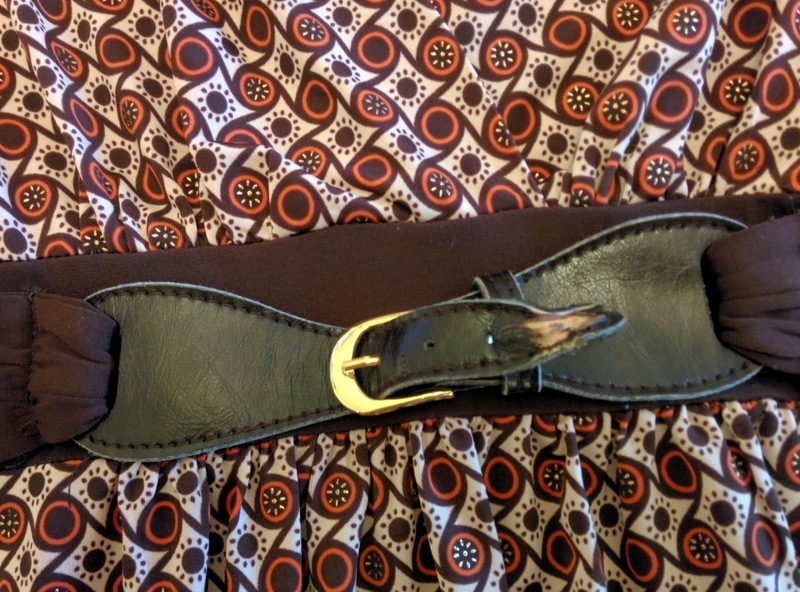 The flaps and snaps will allow me to take the buckle off for washing, so I can wash the dress with no fear of ruining the buckle. 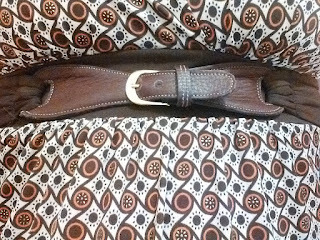 I used the existing hardware to finish the buckle. Here's how it turned out. Then I threaded each side of the buckle through the fabric loops on the dress, snapped the ends together, and buckled it up. 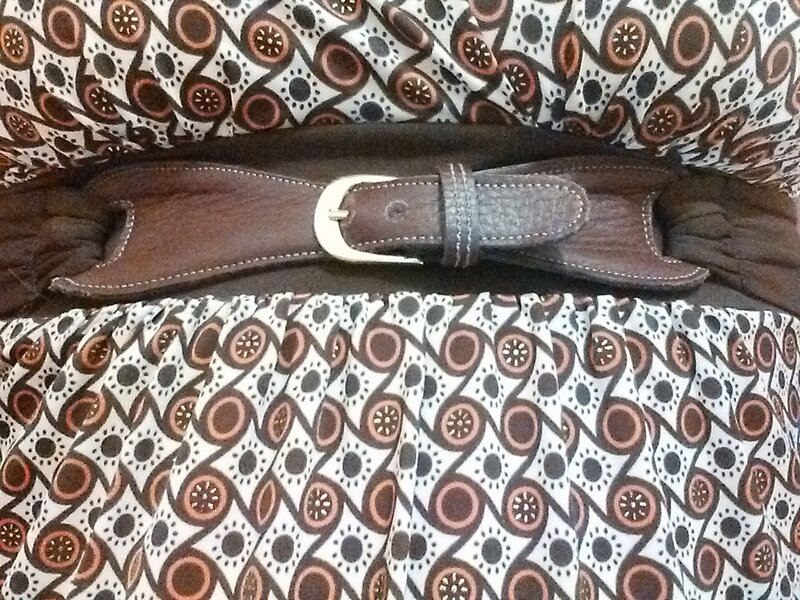 Here's the close-up of my new buckle. My husband always says/fears in case of a divorce I might just drop eeeverything - except the sewing-machine (+ the brush cutter ;-) )! ... and a huuuuge sigh of relief for coincidental confirmation with YOUR 'fix' here, that I'm not the only one getting cranky, when non-washable materials are used in combination with items which need a frequent wash: leather on material ;i.e. cloths worn right on the skin with some decorative bits and pieces of what ever leather(y) material ^^! 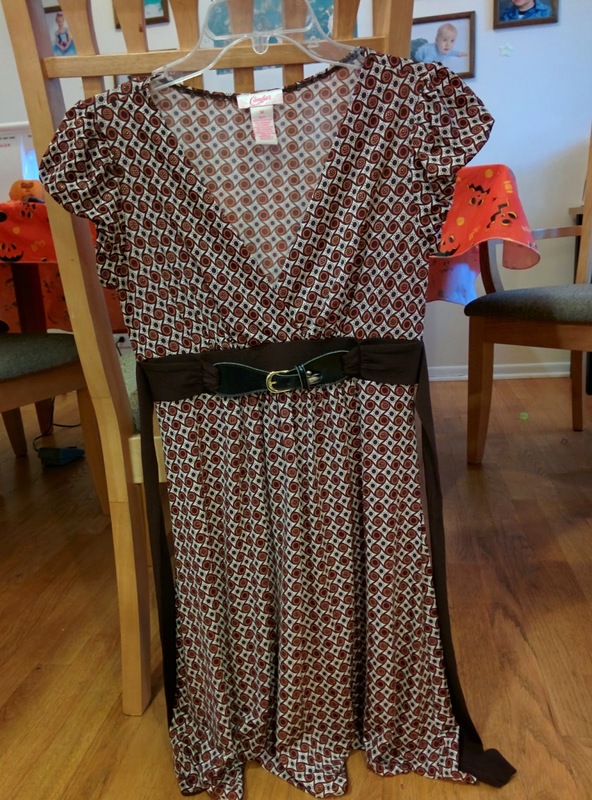 ... and I perfectly understand your love for the cut AND belt combination of this dress: makes something looking more sportive which can at times look rather - let's just call it diplomatically - 'opposite' ;-) ? !